Happy Monday. Hope the Weekend was fabulous for all of you. Just a few things to share with you today. 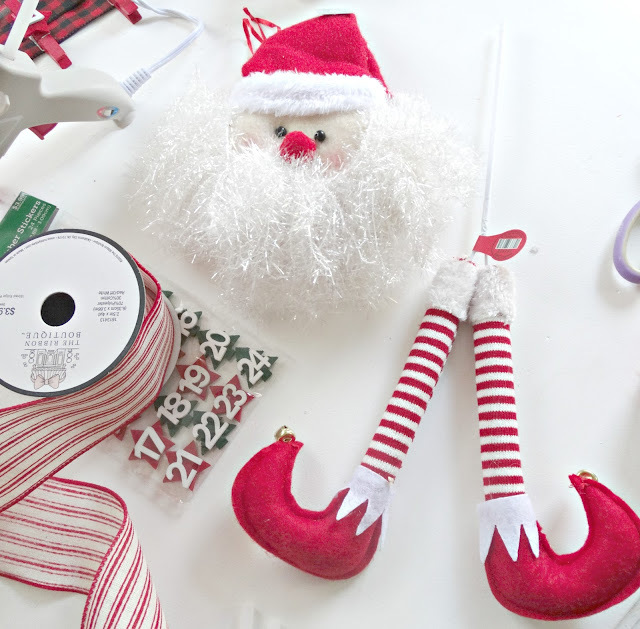 These different cute little Christmas crafty items started to jump into my cart! You know when things are 50% off they tend to leap into your cart before you know what is happening!!!! Every Year I make my kid's and granddaughter's an Advent Calendar for Christmas. I gift them these Calendars at Thanksgiving so they can start with them at the beginning of Advent. I usually like to make them to make it special. After getting these pieces I was able to come up with a Santa Advent Calendar. I got out my trusty glue gun and away I went with burnt fingers to make up this advent calendar. My kids love the scratch off lottery tickets I put on the advent calendars along with a few little gift cards and of course a few pieces of Chocolate. This works perfectly to clip on the cards and lottery tickets. I have not purchased the cards or lottery scratch off yet so you will have to use your imagination to see them clipped onto each day. The Grand Girls of course do not get a lottery ticket calendar so I found these cute Barbie Advent Calendars for them. I love that it comes with a full size Barbie doll and each day the girls get a different outfit for the Barbie. This is about as crafty as I get but I am happy with the way the Santa Advents are coming out. I have one done and 2 more to go. Now on to a peak preview of something in the works at Junk Chic Cottage. These old drawers will be made and re loved into my new project. 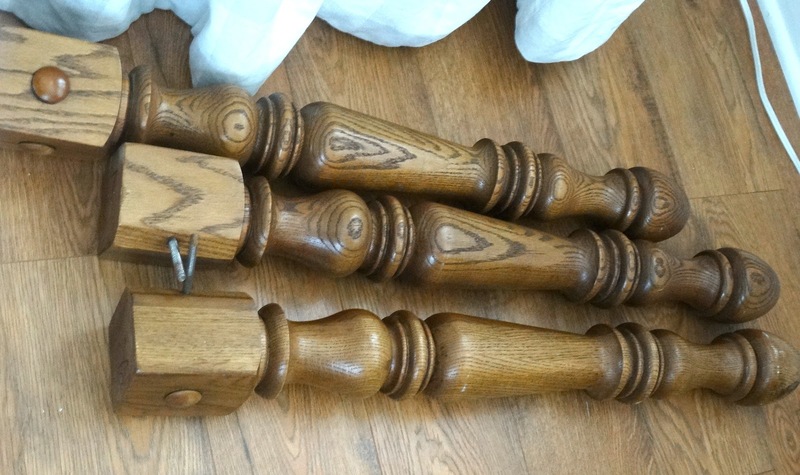 These gorgeous old farm house table legs are going to be part of the new project. 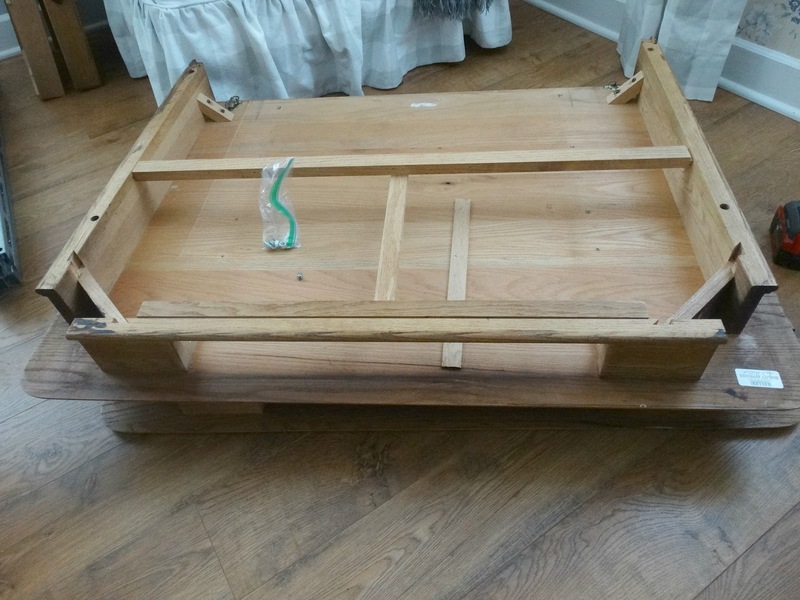 The framing pieces in this old table top is going to be incorporated into the new design too. So stay tuned and I will show you what all these oak furniture pieces will be turned into. Hope to have that to show to you soon. I will end this post with Buddy. He got a new ball from the neighbor next door and he is crazy for balls. 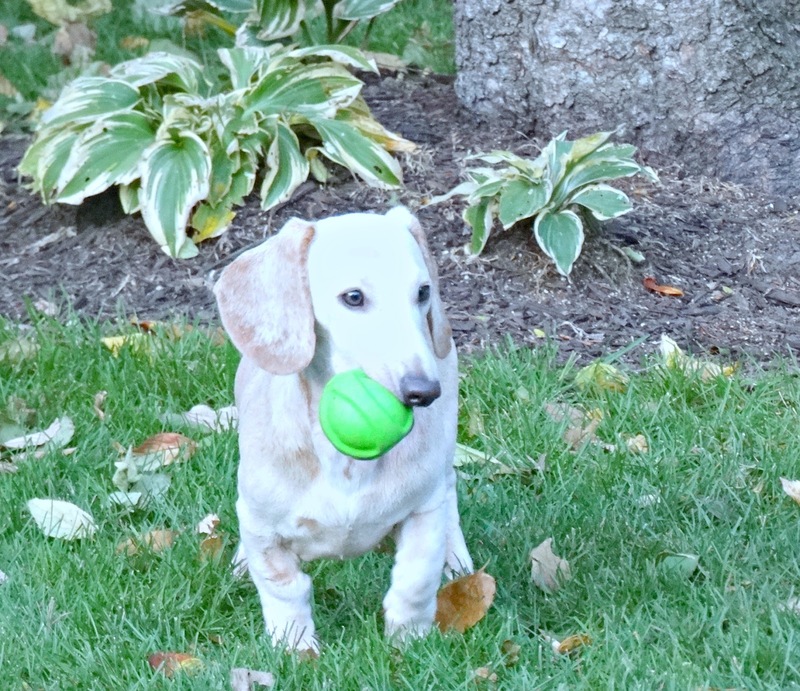 He has his squeaky toys that he loves but now he has discovered balls. We can play throw and fetch for hours!!!! His energy is endless. Speaking of Buddy we purchased this portable fence from Lowes. 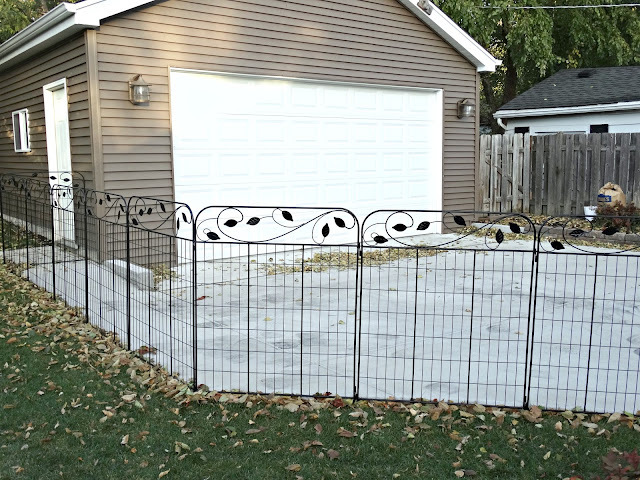 Our backyard is all fenced in but the new driveway and new garage is open. Buddy discovered just recently that there is a whole new world outside his backyard! With his sense of exploring we needed to find a way to keep him in the backyard. So we went to Lowes and found this stake fencing. It is not permeant so you can remove it if you like. 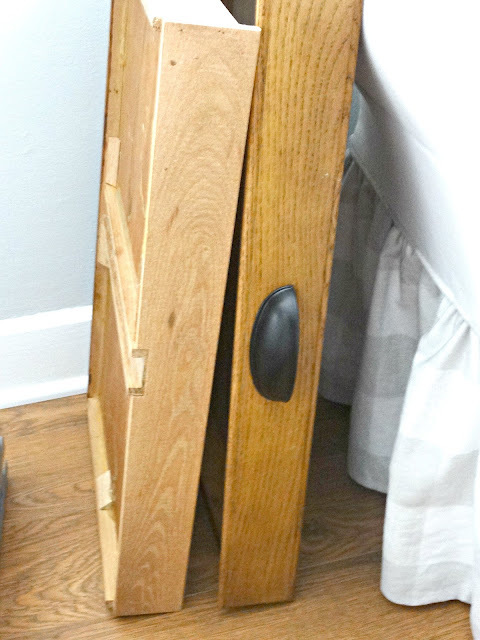 It has the stakes attached so you can just stick them easily into the ground. I think they look attractive enough too. They were only around $29 dollars a set and you get two fence pieces in a set. This was a good solution to keep Buddy safe in the backyard for not a lot of expense. The advent calendars are soooooo precious! What a great way to help the grands wait patiently for Christmas day. The fence panels are so great too, I can't believe how inexpensive they were. I can never get enough pics of your precious fur baby....he is such a cutie pie!!!!!!! I love, love, love that Advent calendar! And what a cute idea! Can't wait to see what you've got cooking with all those parts! Hope your Monday is off to a great start! Love and hugs sweet friend! The advent calendar is a great idea. I was just looking at an advent calendar for Atticus. In years past we got the boys a Lego Advent, they are growing up, I like your idea for your adult girls. I LOVE the Barbie one too. The fence was a great solution. The Advent calendars are precious. What a great idea! Oh my gosh Kris, that advent calendar is too adorable!!! What a fantastic idea! Look at you getting your craft on! What a cute idea for your kids and grands. I love the Advent Calendar.. it is so cute! Oh, that Buddy has stolen my heart and is wagging it around like a ball! LOL....I JUST LOVE HIS COLOR!!!!!!!!!!! Oh Kris, what are ya cookin' up with those farm table legs???? This is gonna be good, I just know it! And you are diving in head first for the holidays! I often transition into Christmas with "winter décor" and totally skip fall. You are ready! Buddy looks like such a sweet dog. The fence looks really nice. Love your crafty calendars and bet the kids do, too. Loving these advent calendars. Don't you just love going to the stores and sales are going on? Kris, my girlfriend and I still can't believe you have a doxie that plays fetch. Maybe we are a tad envious. Neither one of ours could care a less. Buddy has stolen my heart. His face looks like Reeses. Super cute advent calendar, Kris! I love the idea of Barbie clothes each day and a full size Barbie for the grand finale. The temporary fencing is quite lovely and can't beat the price - I've never seen it at our Lowes. Oh Lady you continually inspire me! and the fence I have been thinking about too. I moved into a new house with a good view and i do not want to disrupt it. I love buddy he is so cute. I need to figure out a fence for my porch so lil bit can be on porch with me. Thank you for sharing and I hope your days continue to bless you because you have a had enough trials for awhile. Hi April. Thanks so much for your visit. I did not have an email for you to respond back. Hope you see this. I just want to thank you for your sweet and kind comments always. Your advent calendars are so fun! I have just started thinking about a few gifts...I'm always behind! 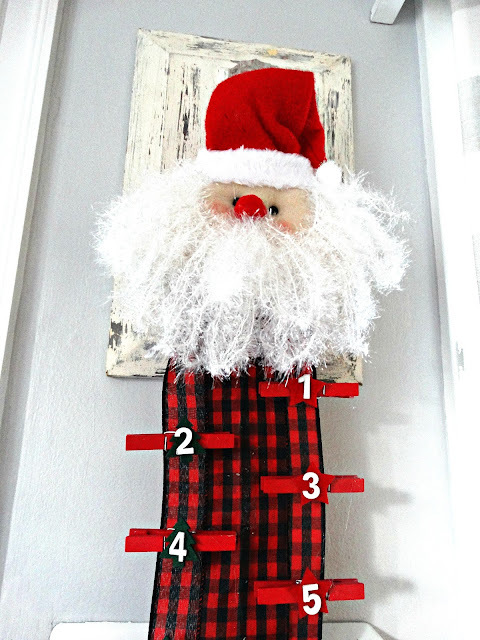 Super cute advent calendar idea! I like the clip on idea. Very creative! The new fencing idea looks like a winner. Peace of mind knowing he can go out to do his duty and not disappear on you! 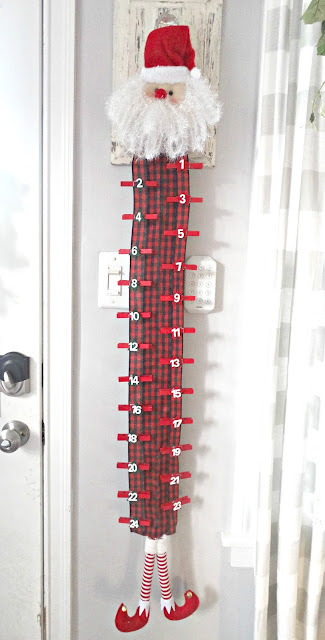 I love your idea for the advent calendar. Every time I mention Christmas the hubs gets upset and says we don't even have Halloween yet. LOl. I love planning ahead of time. It makes things less stressful. Buddy is just so cute and I love the temp fence you have for him to play outside. The fence looks great! I wish my dogs liked balls. But they never took to them. I always love your projects! Cute ideas! Your family is so lucky! Yeah, it all comes and goes by so fast! 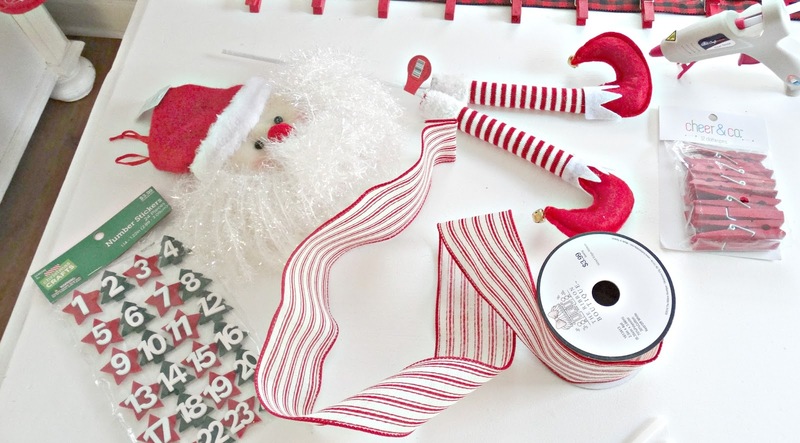 That calendar is the cutest!....and as far as Christmas decorating is concerned, I have already brought out a tree to be set up soon!...Looking forward to your projects Kris...they always amaze me!! Kris, what a cute Advent calendar! And so are your ideas with the lottery tickets and gift cards. How fun for your "kids". I know my girls would love those. And the fencing is perfect. I think they look really good around your space. I would definitely buy something like that. You always have a project going. Can't wait to see what it is this time! It's not too early for a little Christmas crafting. Your fence is darling. How fun of your neighbor. Your advent calendar is too cute. Love your Advent calendar idea, Kris! Very cute! What a great tradition you have for your kids! Buddy is adorable! You just have a thing for low-riding dogs! lol I hope he's not wearing you out with all that puppy energy! Love your advent calendar! And I'm excited to see your new project. You always amaze me with your talent. And what a great solution with the fence. It's so pretty too! Very cute, Kris. You will be so happy to have them ready! Your advent calendar is so cute. I do keep to one holiday at a time, but I really need to get busy on an Advent Calendar for Andy. I have some ideas, but I need to get it made to take to him when we visit at Thanksgiving. How the heck did I miss this post? I love those advent calendars, Kris. What a fun project. You don't give yourself nearly enough credit for your craftiness. Anxious to see what you do with the piece that Mr. Magic (aka-Terry) is reworking. What a cute cute advent Kris!! You are so creative my friend. Buddy is a cutie pie. Savannah loves to play catch as well but her favorite part of the game is to play keep away from you. She loves that part! We purchased some similar fencing for our back yard for Savannah. We have a very small side yard and small area behind and to the side of our garage. Sometimes at night she doesn't always come in when she is told to and I have no desire to hunt for her in the dark on the sides where there is no lighting. The fencing works great!